The Indian Telecom sector has evolved and grown significantly over the last 20 years to serving over a Billion consumers and has attracted billions of dollars of investments. From the early monopoly of BSNL to a reasonably competitive sector with 4 or more operators. It has also contributed significantly in terms of revenue share and spectrum auction receipts to Governments funds. The sector is clearly a poster child for the success of Private capital in Infrastructure. However, in recent years the sector has become a bit slow and complacent. The typical bad habits of incumbents had become evident – Slowing investment into Technology, careless consumer experience, bad network and call quality and poor internet speeds – made worse by a hapless Regulator with little powers to enforce issues of consumer Interest. The issues of Call-drops, poor Internet speeds etc. remain unresolved even though the regulator has been grappling with it for over the last 2 years. In Parliament and outside I have railed against the Telcos callous approach towards both consumer experience and their insistence of attempting to block innovation by creating regulatory hurdles for new wave of VOIP Applications. So the announcement of Reliance JIOs entry is welcome in some ways. It marks additional competition and consumer choice for consumers and sector fed up with Telcos that seem to be paying little heed to rampant problems of underinvestment and Call drops. 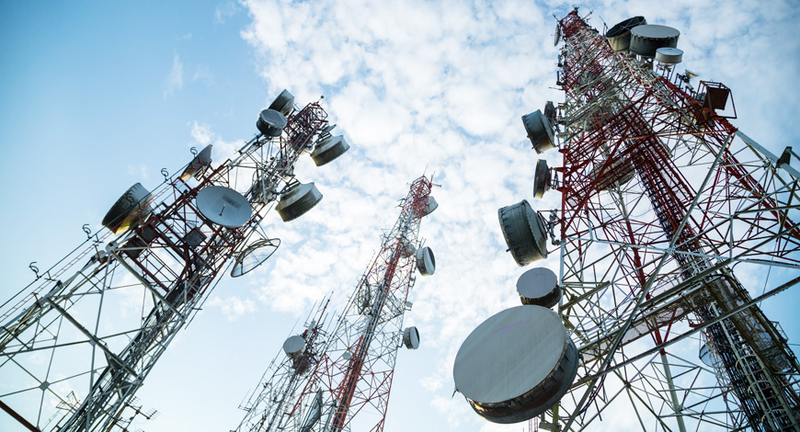 It also marks Indias first fully IP-based network built on 4G LTE and calls only on Voice over LTE (VoLTE)– a departure from the legacy circuit switched cellular networks that most Telcos continue to try and milk, despite some investments in the core IP networks. Both these represent a seriously disruptive technology strategy into the Telecom and Technology sector without doubt. The pricing and product announcements also represent a major disruptive business model – that is designed to reset pricing and tariffs in the short term at least. So all of this is good news for the Indian consumer. However, we must remember that this is Reliance re-return to the Telecom sector – after a terribly dismal performance in its first round starting in the last decade in 2000s. The only company that did worse than Reliance in that first round was Tatas – and that’s not saying much. And so what that means is that Reliance has a track record of big announcement, much hubris, Regulatory ‘management’, large investments, aggressive pricing but a very poor track record of executing in the consumer space. The strategy to execute a full IP strategy is not without its risks and costs. Voice still remains a dominant part of telecom sector and will do so for the short term. For any new operator interconnections remain a key requirement to grow and load its network with users. Interconnection and access to a billion existing customers on their networks is what the incumbent operators control and will play games to deny to Reliance. Ironically a similar game was played out almost exactly 2 decades ago, when a bunch of new Cellular operators that included me with the largest greenfield Cellular network then, fought for interconnection from the incumbent DoT/BSNL then. They denied it for several months and some years till Justice Sodhi at the TRAI came up with the Interconnect Regulation in 1997/1998 that stands even today. Justice Sodhi lost his job almost certainly as a result of this as the PSU lobby got him removed in 1999. But the sector owes a great deal to him and his foresight and vision to allow private sector Cellular company the right to interconnect. Ironical then that the same private Telcos today are doing exactly what they fought against – denying entry to a new competitor. However, currently this issue of Interconnect and several issues like Pilot trials etc. are becoming issues of loud disputes. I am frankly surprised and even disappointed by the lack of the TRAIs preparatory work for the entry of new competitors. A regulator who has struggled the last 2 years to tame the Telcos on, must welcome new competition as a powerful tool to set right the asymmetry between Telcos and consumers. For that TRAI or indeed if it fails the Ministry must intervene and frame clear rules for Interconnection that is fair, equitable and transparent to both the existing Telcos and the new entrant. Failure to do so creates chaos and compromises the Institutional capabilities of TRAI and will unnerve investors and consumers. The Telcos by bypassing TRAI and writing letters to government are challenging the institutional architecture of the sector – created over several years and consisting of a clear path for TRAI and TDSAT and courts for dispute resolution. These actions of the Telcos need to be challenged and questioned. Having said that Reliance track record in Telecom is far from exemplary. It is important for the TRAI to ensure that these tariff and product announcements by Reliance are not a way to get consumers on their network and use that argument of consumer Interest to press for favourable Interconnection and Termination agreements with Telcos. The Tech and Telecom sector is where the most disruption is underway. Today’s technology is obsolete tomorrow and most incumbent Telcos try and use regulations and licensing to prevent change and disruption. There is much to look forward to in coming years in the Telecom sector. With the advent of full IP networks and imminent demise of circuit switched calls, a lot of what is being currently sought to be regulated by the TRAI at behest of Telcos like OTT regulation etc. simply become irrelevant. I had predicted this when the TRAI first tried to do this at the prodding of the Telcos a year ago. TRAI needs to be ahead of the curve at this stage. Most of the companies involved have a pretty strong record of gaming regulators, regulations and leaving consumer interest as low priority.it is clear that we need transparent, clear rules and regulations. These 'disputes' can only be addressed by clear rules n regulations - enforced fairly and equitably. It is important that that the Government of India does not permit the sector to be hijacked by the corporate rivalries and battles. The Telecom sector and Tech sector are significant areas for investments, job creation and indeed transformation of Economy. While the potential is there for all that, the handling of events like the introduction of new disruptive competition must be handled with an orderly regulatory and policy framework for consumers to fully enjoy the benefits of this disruption.